Do you use Slack every day? Are you an admin for your workspace? Or maybe you’ve simply heard of Slack but haven’t had the chance to try it out yet. Whatever your level of experience, we’d like to invite you to join us for a Slack Session — a live presentation and discussion with friendly faces from the Slack team. Pick the session that’s right for you: getting to know Slack, advanced tricks, or tips just for admins. We’ll cover it all in a short presentation with plenty of time for your questions at the end. Sign up to save your seat! Are you a Slack user who’s ready to learn advanced tips and tricks? 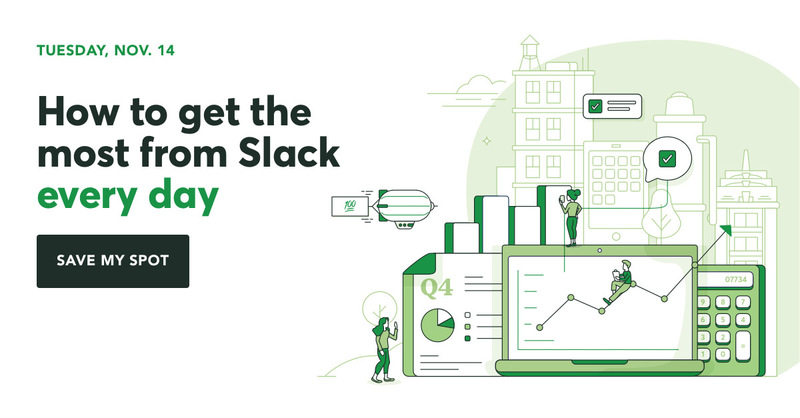 Join How to get the most from Slack every day to learn how to work more efficiently. In this live demo, Slack Solutions Engineer Marina Milenkovic will show you how to speed up your daily workflows using Slack’s advanced features. Are you an admin? We have a special session just for you. 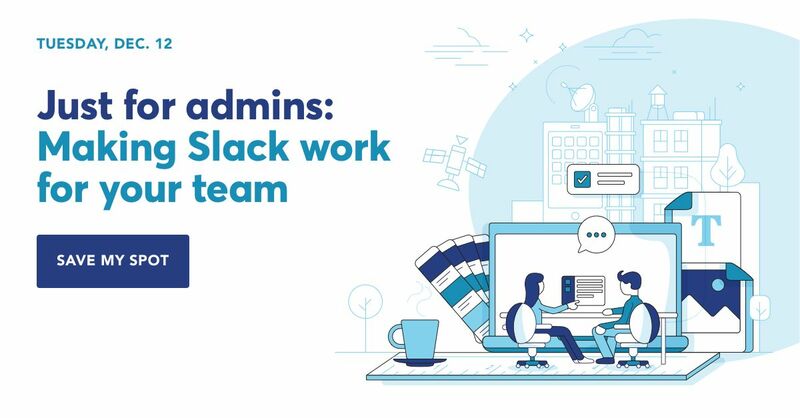 Join Just for admins: Making Slack work for your team to learn simple and effective ways to help your team do their best work. Slack Product Marketers Nami Sung and Mari Ju and Solutions Engineer Pete Hsieh will share best practices for enabling your employees to work more productively in Slack, without compromising security or compliance. Not on Slack yet and curious to learn more? Discover why millions of people use Slack every day. 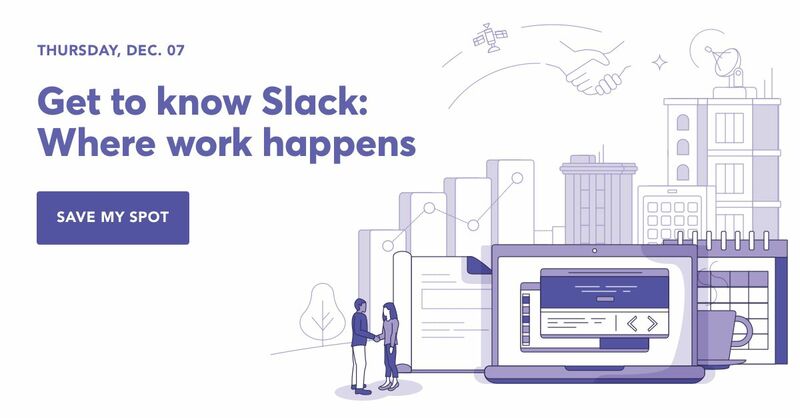 Join Get to know Slack: Where work happens to learn how Slack takes the hardest part of all our jobs — communication — and makes it simpler, more pleasant, and more productive. Account Executive Rachel Lee will show you how to make team communication more transparent and break down organizational barriers along the way. Can’t make the session time? Not to worry. The content will be recorded and available on demand after the session. Simply sign up so we know you’re interested and we’ll send you a link to the recording so you don’t miss a beat. Is there something else you’d like to learn about? Let us know.